At the 2013 annual meeting, members voted down a dues increase, which was proposed to support future lobbying efforts. Opponents of the increase said the organization should instead focus on widening the membership base. At that time, NAIFA said it had about 40,000 members. 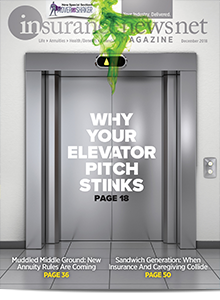 More broadly, baby boomers, a generation of “joiners,” are slowly giving way to Generation X and Generation Y, whose members identify less with institutions and interest groups, McNeely said. Recently, though, Generation Y members have shown an affinity for belonging. 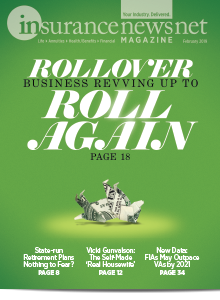 NAIFA Treasurer Matthew S. Tassey said the organization’s finances are stable, but added that dropping membership and rising expenses don’t produce a sustainable model in the long run. The board has approved a deficit budget for fiscal year 2015, which began Oct. 1. 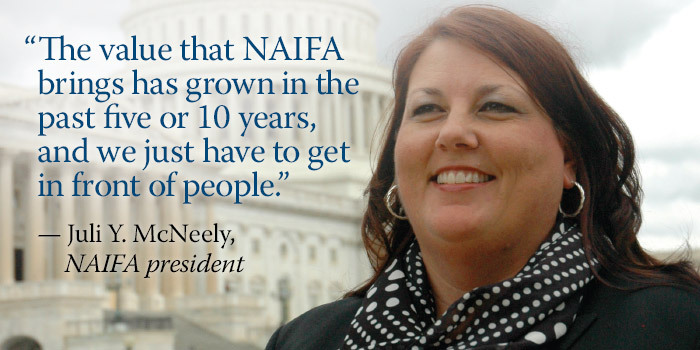 NAIFA’s future lies in increasing membership. The question is, how? 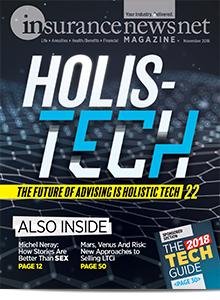 Because NAIFA is a national advocacy organization, recruiting from abroad isn’t a viable long-term solution, McNeely said. In the independent advice channel, membership has increased 28 percent since the restructuring. 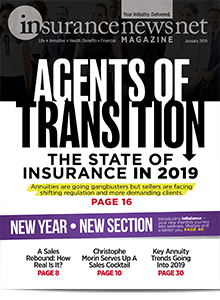 In addition, NAIFA’s Congressional Conferences have brought more than 700 advisors to Washington in each of the past two years, McNeely said. 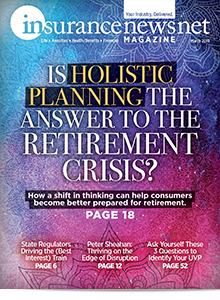 McNeely also said that the relaunch of the Life Underwriter Training Council Fellow program and a new partnership with the College of Financial Planning would each develop into a “significant member play,” and that NAIFA members would begin to see the value of membership.